Look no further for Newk’s menu prices. Newk’s Eatery is a fast-casual restaurant chain offering customers made-from-scratch sandwiches, soups, salads, pizzas, and desserts. Newk’s uses only fresh ingredients which means nothing is pre-sliced, pre-chopped, or pre-packaged. Menu items are prepared fresh daily and are full of flavor. Below is the latest Newk’s Eatery menu prices. Joining the Roundtable Club is a great way for members to be the first to know about new menu items and the latest news at Newk’s. For joining the Roundtable Club, new members receive a free Homemade Dessert. Signing up takes less than 3 minutes. The Newk’s Grab n’ Go menu offers guests with limited time, a wide choice of sandwiches, prepared salads, soups, and sides. Newk’s is the perfect option for an office lunch meeting or a kid’s birthday party. Newk’s prepares and delivers the food plus sets it up for your guests to enjoy. It does not get any easier than that. Contact the Newk’s catering specialist at your local location for more details. Counting calories has never been easier at Newk’s. A special menu allows guests to choose items that contain 600 calories or less. The calories may be less but the flavor is not. When you know what you want to eat and when you want to eat it, the Newk’s Eatery online ordering portal is a great way to get that accomplished. Guests choose a location and pick-up time, then they select their favorite menu items (don’t forget dessert), pay for their meal and head over to the restaurant. Newk’s Eatery realizes that customers are more aware of what they are eating and want restaurants to offer complete nutritional information. Newk’s has gone beyond customer’s expectations and provides an interactive nutrition portal on their official website. The portal provides nutritional information on current menu items and allows customers to get nutritional details on custom-made meals. For those guests with food sensitivities, a special portal allows guests to pick allergens to avoid and makes suggestions on food items to choose. Newk’s Cares is an initiative to teach women about ovarian cancer. The goal is to spread awareness about the symptoms of ovarian cancer and to help encourage women to get tested early. Newk’s offers team members the opportunity to fulfill a satisfying career. Newk’s is always interested in team members that are outgoing and hard-working. 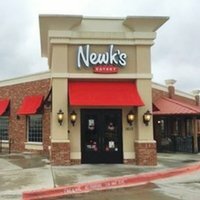 Potential team members should check out the Career page on the official Newk’s website to learn about current openings. Newk’s Eatery was founded in Oxford, MS, in 2004 by brothers Don and Chris Newcomb, and Debra Bryson. The trio had previously developed the McAlister’s Deli concept. The founding team of Newk’s sold the McAlister’s Deli concept to concentrate on “Newk’s”, a tribute to the fondly remembered “Newcomb” family cookbook. Newk’s is a private company owned by private equity group Sentinel Capital Partners and is headquartered in Jackson, Mississippi. Today, there are over 100 locations across the US. For more information about Newk’s Eatery, visit their official website.